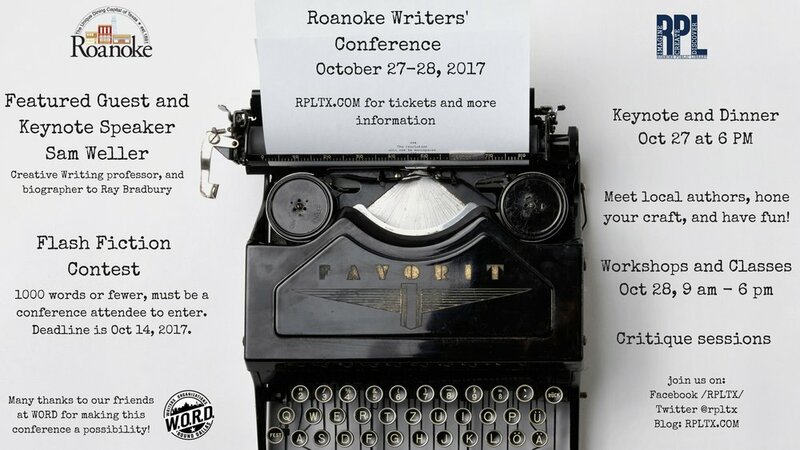 Super excited to deliver the keynote address tomorrow at the Roanoke Writers Conference in Roanoke, Texas. I am also conducting two seminars, one on the lessons of creativity I learned from the great Ray Bradbury, the other on overcoming self-doubt as a writer. Cannot wait! If you are in the area, I hope you will come out and say hello!